Annabel is an Analyst within Consulting at Social Ventures Australia. During her time at SVA, Annabel has worked closely with non-profit and corporate clients on a range of strategic planning and measurement and evaluation projects. 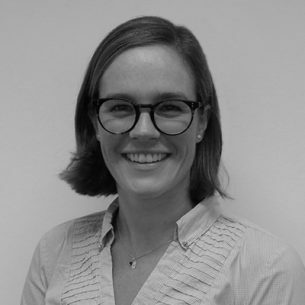 Prior to joining SVA, Annabel was in marketing at Nestlé, where she managed communication campaigns and analysed sales and population data to influence business strategy. She has also worked with The Behavioural Architects, a behavioural economics consulting company, conducting research and developing strategy to influence consumer behaviour. Annabel has volunteered with the National Aboriginal Sporting Chance Academy (NASCA) as a role model to Indigenous children in remote communities of the Northern Territory, and has developed a particular interest in this area. Annabel holds a Bachelor of Communications (Distinction) and a Bachelor of International Studies (Distinction).